Zostera is my love letter to living on the coast. The tang of a salty breeze coming off the ocean is one of the things I miss most about living on the west coast of British Columbia, and looking over a dock and watching sea grasses move gently in the current is like peering into another world. 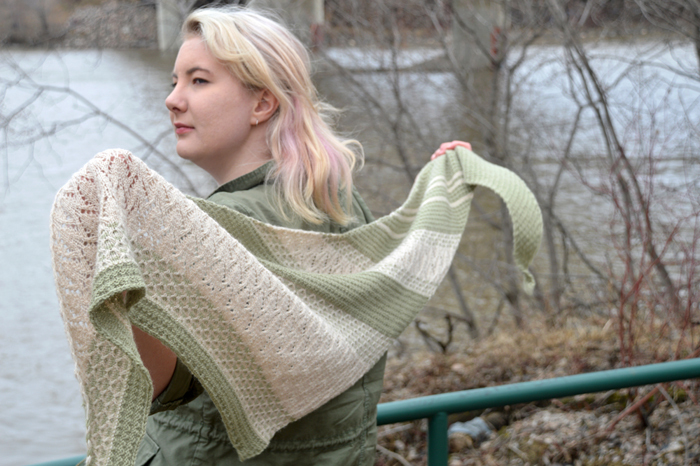 Zostera features texture and lace that remind of that movement – using a knit/purl stitches, slipped stitches, and lace, this shawl is inspired by those forms locked away under the ocean’s surface. 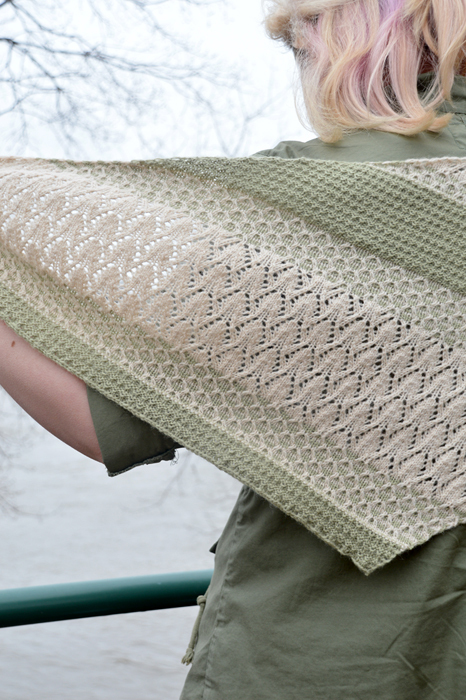 This shawl is cast on at one end, then gently increases along one edge to create an asymmetric shape. Get this pattern free in the May 2017 edition of Knotions by clicking here.